Colony Wishes a Very Happy Chinese New Year and Gong Xi Fa Cai! We at Colony would like to wish all of you a very Happy Chinese New Year and Gong Xi Fa Cai! Even as we enter into the new year of the dog, may this year bring abundance of blessing and prosperity for all of us. Happy Chinese New Year and happy holidays to everyone! May the Year of the Dog be wonderful for us all. May success follow you at every turn in this auspicious year of the dog. May you be healthy and happy. 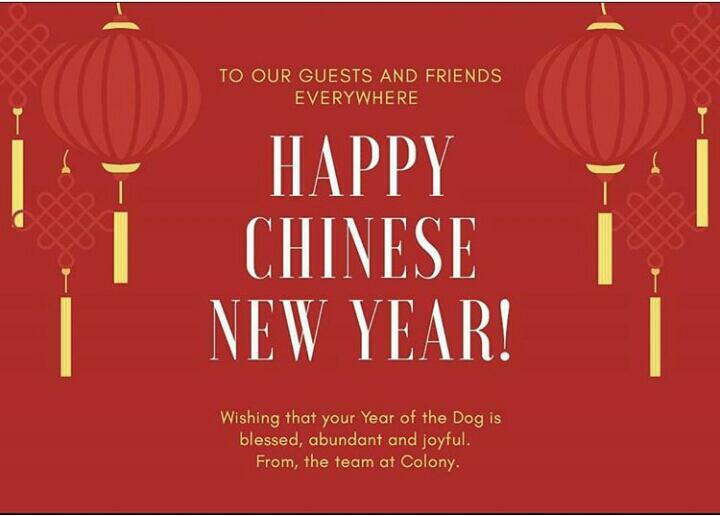 We at Colony know that Chinese New Year is an auspicious festival that for many of our tenants. Therefore, we did not forget to prepare some Chinese New Year goodies for them. These delicious Golden Salted-Egg Cornflakes signify our hopes that it would be the start of a golden year for them. We hope that they will be showered with little gems along their journey through life. Chinese New year is the season of reunions and family gatherings. It is the season of prosperity and abundance. Even as Colony strives to be the co-working serviced office where you are able to achieve a work-life balance, we implore you to remember to never neglect living for working. Remember the importance of family. Even in this new season, remember that your work should not be your everything. At Colony, we care for you. Once again,we at Colony wish you Gong Xi Fa Cai! May you be blessed with prosperity, abundance, and riches.